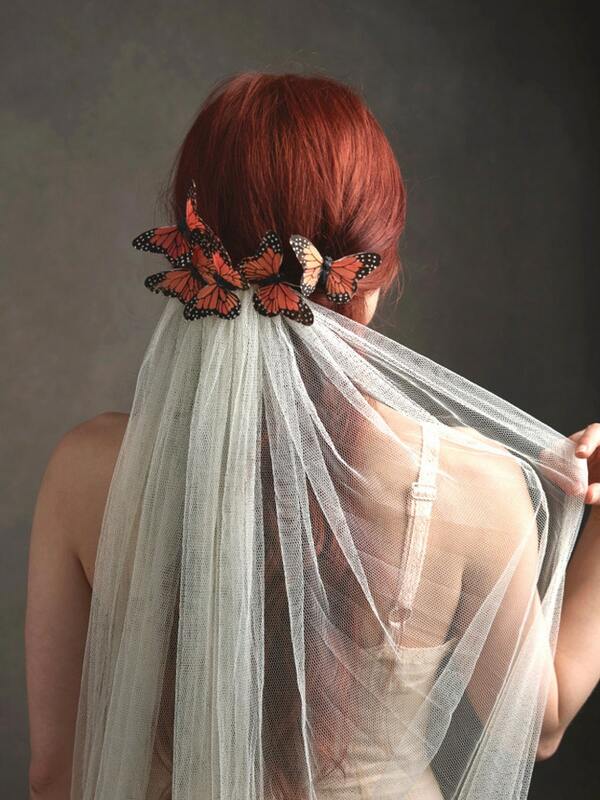 This is Florence, a flowing ivory veil decorated with butterflies. 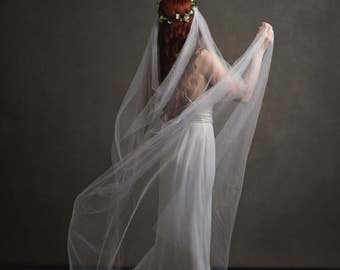 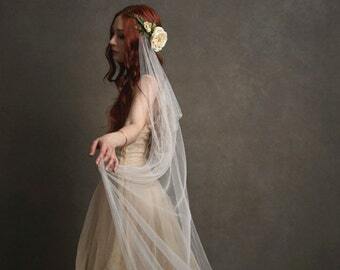 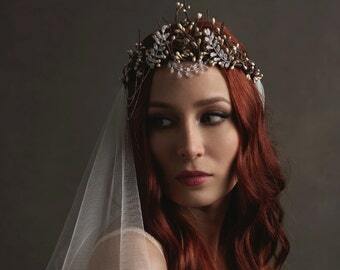 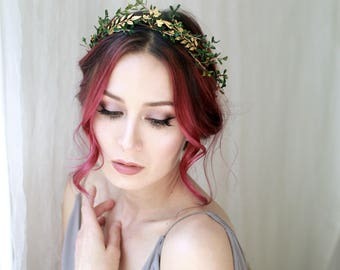 The veil featured on this headpiece is made of vintage ivory veiling and falls just past knee length. 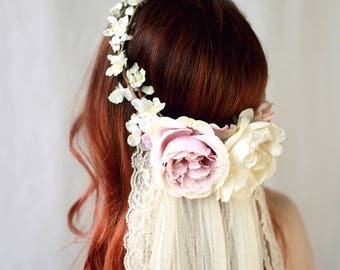 It is affixed to a whimsical comb festooned with monarch butterflies.